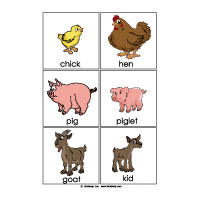 Farm animals activities, crafts, games, and printables for preschool and kindergarten. 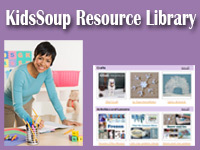 Celebrate the new life of spring with this theme on baby animals born on the farm. 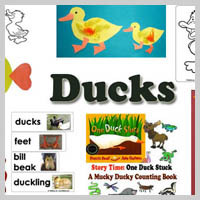 Children engage in a series of activities, games, songs, and rhymes centered on baby animal vocabulary: chick, duckling, lamb, bunny, puppy, kitten, foal, calf, piglet, and kid. The felt story "Are You My Mom?" 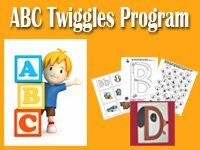 is a great way to introduce children to these terms. 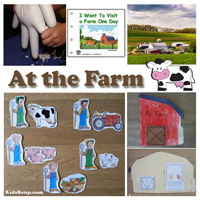 This theme is a natural tie-in to our At the Farm activities. 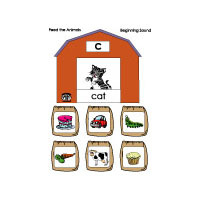 In addition, children learn the sounds farm animals make along the way. 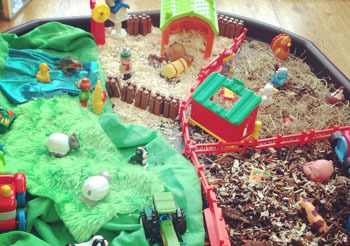 Make a farm in your sand table. 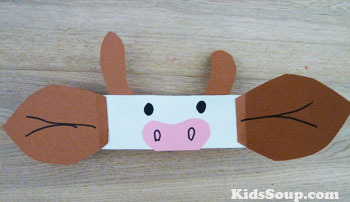 Create different areas for the different farm animals. 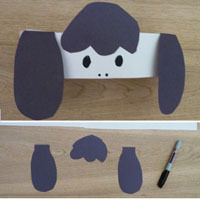 Provide plastic farm animals or farm animals cut-outs and a basket with small pipe cleaner pieces. Let children use tweezers to feed the farm animals. 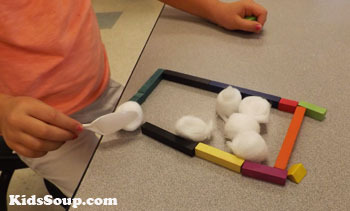 Provide cotton balls (sheep), a plastic spoon, and some blocks. Let children create pastures with the blocks and pretend to be sheep dogs herding the sheep, with the help of the spoon, inside the pasture. Add farm animals, small pipe cleaner pieces (hay), tiny baskets, artifical grass, green and blue fabrics, and a farm to your block area. Let children create different pastures, fences, and barns with the blocks. So they could give milk sweet and pure. So she could find more hay. Then there were 4 cows black and white. Put some farm animal toys inside a pail and place it in the middle of the circle. 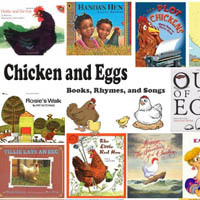 Sing the song "Old MacDonald Had a Farm." 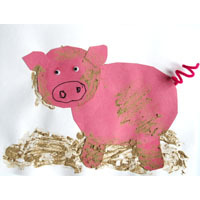 Print b/w farm animal pictures and let children color the farm animals and glue to a craft stick. 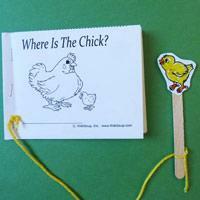 Let children hold up the matching farm animal puppet while you sing the song "Old MacDonald Had a Farm." Place several plastic farm animals and a toy barn in the center. 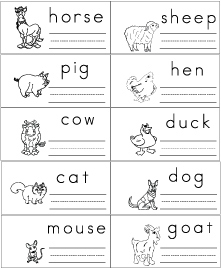 Let children name each animal. 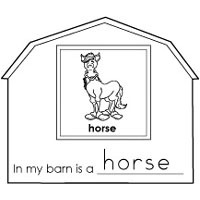 Instruct children to close their eyes, then hide one animal inside the toy barn. Let children open their eyes and let one child guess which animal is missing. Play the game the next day again and hide two animals. 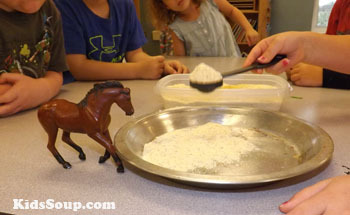 Prepare a container with cornmeal and number cards (1-5). 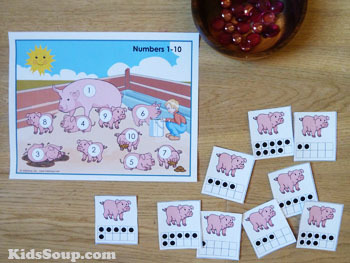 Choose three farm animal toys (horse, pig, cow) and place a plate in front of each animal. 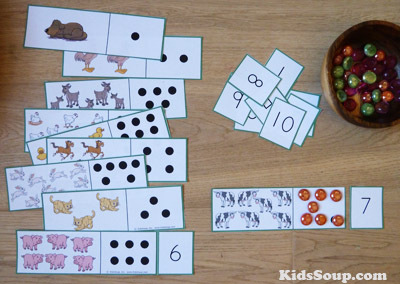 Let children choose a number card and use a spoon to count and feed the animals with the matching number of cornmeal spoons. Look at the different amounts on the plates. Which animal got more food? Which animal has the least? 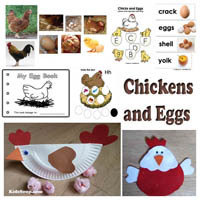 Print a hen picture and place together with 10 yellow pom-poms or chenille chicks in front of each child. Let one child roll a die and call out the number. 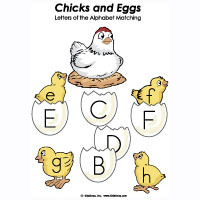 Let children place the matching number of chicks on their hen. 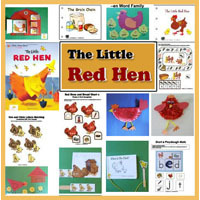 Let children count their chicks. 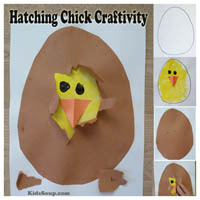 Ask children to add one more chick. 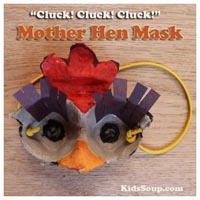 How many chicks does the hen have now? Write the number sentence on the board. 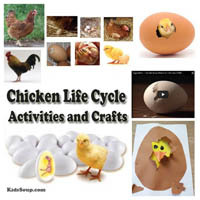 Remove the chicks and repeat the activity. 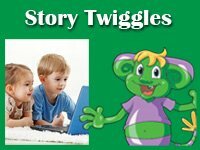 On a sentence strip write the words "A," "lives," "on," "the" and cut out the words. 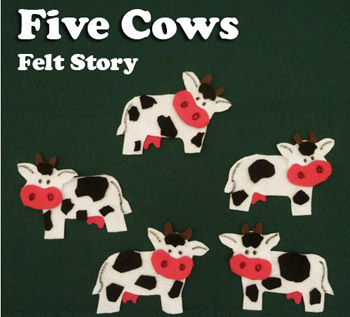 Print and cut out pictures of a farm and farm animals. 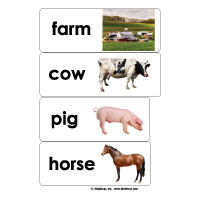 Create a card for each farm animal with its name. 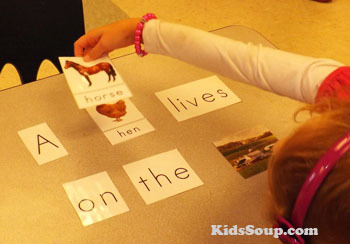 Let children place the words in order and place different animal cards in the empty spot. Then, read the sentence.